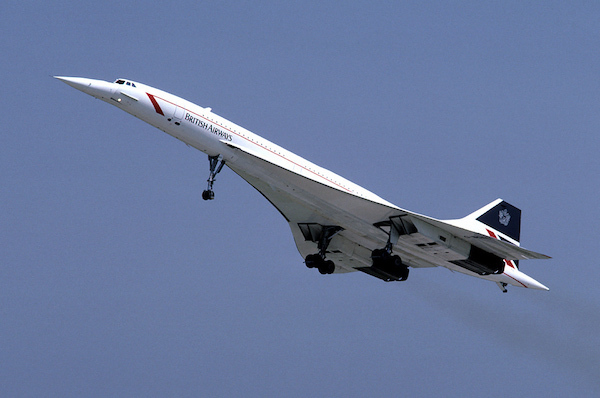 It was Concorde’s 50th Anniversary recently. I didn’t realise it at the time until I took my son to the Brooklands Museum in Surrey. It was one of those tricky weeks where Jill and I had meetings, but our son was on school holidays. We planned our time to reduce the impact on him. My son and I walked into the museum and we were told about the Concorde tour you can do. They have a Concorde on site and you go onboard. When I joined World Duty Free, my desk overlooked the northern runway. The sight and sound of Concorde taking off was one that filled people with awe. Everyday people would gather at the office window to watch it. The Mexican wave of car alarms going off in the office carpark always amused me as the rumble from the plane set them off. We went on the tour and facts were shared about the plane. At the end, you were taken on a ‘flight’ where the entire plane was in effect a simulator. You received the same boarding passes as they gave out when it was still flying and you went to a seat. The seats rumbled during take-off, you could hear the sound of the engine and you got a pilot’s eye view on the screen at the front. The museum was attempting to bring all the senses together to give you an experience. Although Concorde will never fly again, the thought was there. It got me thinking about experiences. I think we are all agreed that today’s shopper wants to have an ‘experience’. It got me thinking about how our industry executes personalisations and pop-up experiences. It got me thinking about the airport experience and how this is perceived differently. I started to reflect on how airports are rated as the best in the world…… by those who have flown through them. I am sure you can see the glaringly obvious challenge there. OK, we do not necessarily like to think about toilets but we all appreciate them when they are spotlessly clean. I think airports see them as a necessity, passengers see them differently. How many of you reading this make a judgement about a restaurant once you have visited the toilets. Yes, you too? Thought so. Now, Changi has carpeted their airside area. Personally, I think this is a smart move. Why? It dulls the sound, it brings a sense of calm even during the busiest times. It would be so tempting for them to remove it and just put tiles, just like every other airport. You fly through Changi however with a sense of peace. Yes, carpet is a little more involved when it comes to cleaning but what if the carpet was the real secret to Changi’s success? Sceptical? Well, experiments show that noise pollution can have a direct impact on anxiety, learning and stress management 1. Let’s just think about that for a moment. The fact that carpet absorbs the sound. It has a direct impact on our senses. If I think about my last trip to Heathrow, it was a noisy experience. Everything is open plan with glass, metal, tile flooring. It is an assault on the senses. Continuous background sound for someone like me can be a source of discomfort. Some restaurants such as Pizza Express can be hell at times with all the tiled floors and marble tables. Sound reflects and bounces round and it drives me crazy. It is only after some trial and error that I have discovered that the sound has the effect. My son had to have a hearing test a while back and I went into the audiologists sound proof room. It was heaven! While in Heathrow, I went to a store and spoke to a shop assistant. At times, I could barely hear them because of all the background sound. Not exactly conducive to a selling environment! Brands invest a lot of money on personalisations, on activations and on pop-up shops to drive shoppers into the store. The level of creativity that is out there can be excellent. The executions can get attention but the question remains, does it take the shopper to the next level? Does the visual representation create a sense of atmosphere? Does it transport the shopper fully into the world of the brand. World Of Whiskies, part of World Duty Free, is quite a clever concept for that. When you enter that part of the store or the stand alone store, it feels like you are stepping into another place. The design works to take you out of the airport and into the traditions of Whisky. Quite often however, the senses are considered. We see brightly coloured, well designed activations that incorporate taste (Liquor or Confectionery) and or smell (Beauty). It is rare that sound is incorporated. So, does sound represent a missing gap? So, if sound can be a negative, it stands to reason that it can also be used as a positive too. I have talked about how noise pollution can be problematic. It can create a sense of stress, anxiety and even make people aggressive. So would recommending that brands incorporate sound into their personalisations just add to the problem? Not necessarily. Sound can do so many things. Using the right sound can make you feel like you are in the middle of New York or sat by an ocean. Many people find that memories or emotions can be triggered by certain sounds. A song can take you back to a time in your life as quickly as a smell can. One of the best museums I have been to is the Cabinet War Rooms in Whitehall, London. This was where Winston Churchill spent much of his time. The environment is an interesting one. You walk through the displays and it looks like people have literally got up and walked out and the door was shut on the space. Once you are through that, you are taken to a modern zone with lots of interactivity. The bit that surprises you though are the sounds. As you walk up to a wall to view images and stories you suddenly hear sounds that are connected to the image. It creates a sense of being transported back to a time and all that was going on. I remember the first time I experienced this. I remember looking around wondering where that sound was coming from. As soon as you walked away the sound faded. Was it some sort of sensor? After being inquisitive and experimenting a little, I realised there was a square panel above where I stood. It didn’t look like a speaker but it was clearly where the sound was coming from. Further research told me that this was a parabolic / parametric speaker. A Parametric Speaker is one that can direct sound to a specific area. The image below explains how it works. A normal speaker will send sound out and everyone in a room can hear it. A parametric speaker is able to direct sound to a specific area and so only those in that area can hear the sound. This is a clever approach that can enable sound to be used but in a way that doesn’t impact everyone. Imagine how this could be used. Brands could create a sense of atmosphere to their displays by bringing an extra audio dimension to their visual merchandising. It could be used to educate the shopper about a specific brand or category. Because of the discreet nature of the speakers, it can also disrupt the passenger and interrupt their ‘flow’. Imagine for a moment that you added a level of interactivity to it and could press a button to get different languages and therefore engage a shopper in a different way. Imagine bringing your brand to life in Mandarin for one shopper but Spanish for another. Depending on the sounds and language used, a different brand context could be created, all through the simple element of sound. I do believe that this needs to be explored further and brand should consider experimenting with sound to create a different dimension to the retail experience. This has been quite a broad post this week. We have identified a gap in the sensory experience in most airports, we have highlighted the problem of noise pollution and we have identified a possible solution to overcome these issues. So, it leaves the key question, how could you use sound to drive interest, engagement and interactivity within your store, category or brand? Drop me a line, I would love to hear your thoughts. NextExperiential Marketing in Travel Retail – Should we have a different focus?